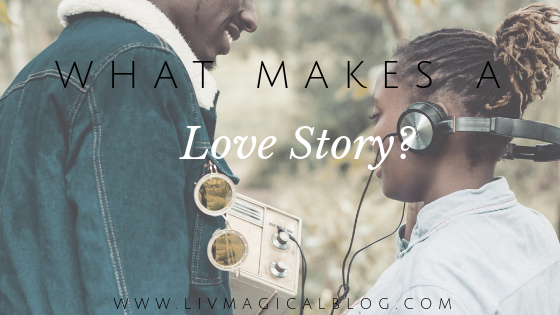 What makes a love story? Is it love at first sight? Is it a friendship that turns into something more? Or is it that guy who texts you “good morning beautiful” every day, even though he rarely gets a response? As Dustin from the from The Friend Zone Podcast would say, “QTNAs: Questions that need answers or questions that niggas is asking.” If you’re reading this, you’re obviously going to get my opinion, but I want you think seriously to yourself about what makes a love story. Is there even a such thing to you? As a single woman and parent, who had been through a lot of heartache, my friend (We’ll call her Juliet) was serious when we talked about relationships. I distinctly remember her saying to me almost 2 years ago, “I’m not dating for a while. I need some time to get myself together and I don’t want to date for the sake of dating. I want something serious.” Me, being me, I joked it off and told her “Just be single and have fun, sis! Get your hoe-tation together!” Juliet did take my advice, (not the hoe-tation part) and just enjoyed herself, by herself. There was a weekend shortly after, where I went out with some family and friends to celebrate a birthday. I ran into a friend I’d known from back home (We’ll call him…. you guessed it! Romeo.) I’d dated Romeo’s friend years ago and we hadn’t seen much of each other since back then. I was pleasantly surprised when Romeo asked about my bestie, Juliet, during our catch-up conversation. We all knew each other from years prior and I always thought he liked her, but he was more of a laidback guy, so it was subtle. I mentioned that Juliet was single and had recently relocated. I urged him to reach out to her. I told Juliet about running into Romeo and she instantly shut me down. “Girl…. no. He’s cool but I don’t know. I haven’t talked to him in years.” I urged her to give him a chance and see how it goes. End of conversation. I assumed that was the end of that. A few months later, Juliet was doting over this “secret admirer” that she would tell us about on our weekly BFF call, but she wouldn’t divulge who the mystery man was. She finally told us it was Romeo and I almost fell out from excitement! Romeo is a great guy and I knew they’d really like each other. Long story short, they dated for a few months, moved in together, continued to build a solid relationship and a year and a half later, they’re engaged. Happily ever after, right? Yes, of course. But taking the leap of faith and stepping out of their comfort zones was key to arriving at that destination. Until next time, stay rolling and protect your magic….